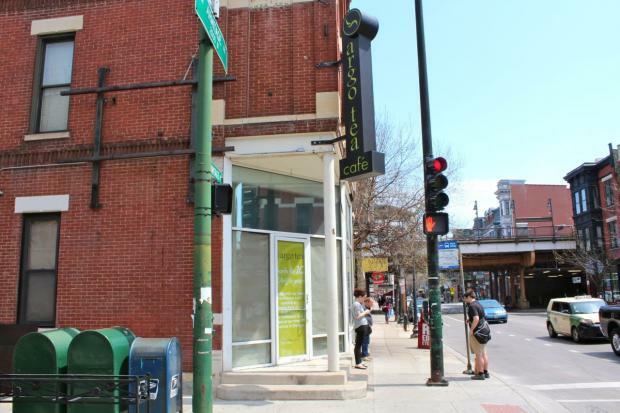 LINCOLN PARK — Argo Tea has shut the doors of its original location after 10 years in business. "It's bittersweet," said Arsen Avakian, one of the three founding partners of the tea chain, which has since expanded to 12 other Chicago locations. The original store at the corner of Armitage and Sheffield avenues opened in the 2003. Argo's lease at that location is up at the end of the month, and the partners decided not to renew. Avakian was inside the store Tuesday afternoon helping clear out equipment, but would not comment on the decision not to renew the Lincoln Park location. Workers began clearing out the business Monday and expected to have it empty by the end of the day Tuesday. The new vacancy joins the former Ralph Lauren Rugby, which shut its doors in January, at one of the most prominent Lincoln Park intersections. A sign posted on the door thanked customers for 10 years of business and directed them to a new greenhouse cafe opening at Connors Park in the Gold Coast, 871 N. Wabash Ave.
Argo is fronting the bill to rehab Connors Park in the Gold Coast including building a greenhouse that will house an Argo Tea house, according to a Chicago architecture blog. The majority of Argo Tea's business growth is coming from selling bottled drinks in stores nationwide, according to a Crain's Business report. The business began selling the bottled drinks in 2010, and as of March the sales accounted for 20 percent of the company's business, according to the report.